By setting “Yes” on parameter no. 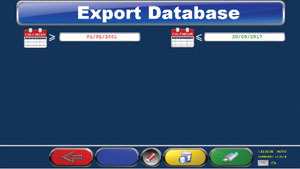 522 “Data export in file XML at the end of the test” and indicating on parameter no. 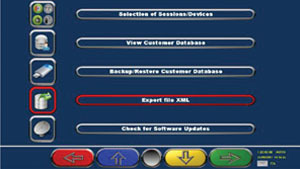 1000125 “Folder output”, the folder of destination of the XML files, all the data files will be automatically exported by allowing a safer storage, easier research and data management. If you are interested to know more about this additional feature, kindly contact us and we will be pleased to offer more detailed information and training.